Adam Davis has been working in the dog care service industry for the past five years. Like many dog trainers, Adam’s interest in canine behavior started because of his family dog, Deano. Deano had many loving qualities but when on leash he became very reactive and aggressive towards other dogs. It was this behavior that led Adam and his family to seek help from a dog trainer. It was this first encounter that ignited Adam’s passion for training dogs. His desire to continue learning about dogs and dog training led him to a seasoned trainer in New York City who hired Adam to supervise play groups and to become an official dog walker. 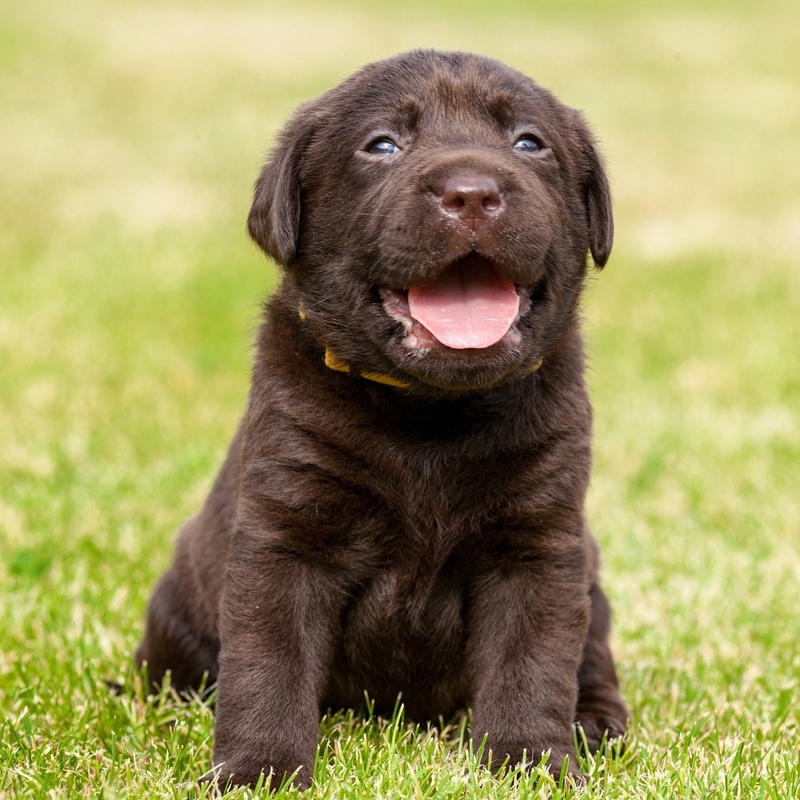 It is here that Adam developed his keen awareness of dog behaviors and the importance of recognizing dog body language. Now as an Associate with DogCentric Training, Adam draws upon his past experience to help support his current DogCentric clients and their pets. Adam is a graduate of the High School for Performing Arts at Talent Unlimited. Playing the flute for 8 years gave Adam a clear understanding of the importance of dedication and hard work and he applies these attributes regularly when working with clients and their dogs. Adam wanted to expand his knowledge and gain experience working, and shadowing with other dog trainers. He is currently waiting to attend the Victoria Stillwell Dog Training Academy. He looks forward to educating people on how dogs learn and to deepen their bonds with their furry companions. Donna’s formal work with dogs essentially began in the summer of 2002 at the ASPCA in New York City. In addition to volunteering she’d hoped to gain experience so that one day, lifestyle permitting, she’d be prepared to care for a dog of her own. At the time, Donna lived alone and was away from home most of the time, commuting back and forth to Manhattan where she worked as an Education Associate with the International Center of Photography. Come autumn, circumstances hadn’t changed much but for one thing: Donna had met and fallen in love with a three year old German Shepherd who’d arrived at the shelter as a humane law enforcement case after legal seizure from a neglectful and physically abusive owner. Donna took her home a short time later and named her Sammy. Always having wanted a Weimaraner Donna would point to Sammy and fondly say, “I just don’t know what happened. She was supposed to be a Weimaraner.” But that’s how love is, unpredictable and on its own schedule. Donna returned to volunteer at the ASPCA a number of years later and was deployed to Kentucky with the Field and Investigation Team to work on one of the largest puppy mill raid cases to date. 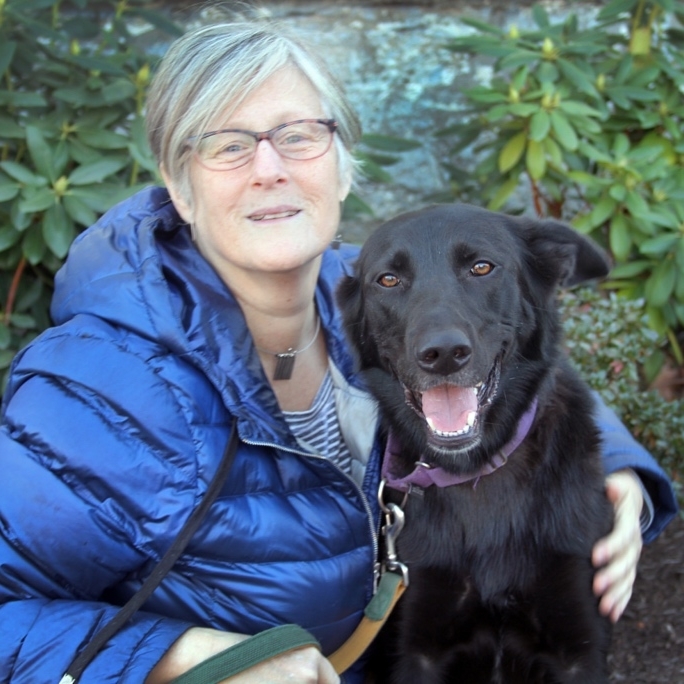 Donna was an active volunteer in the dog enrichment program for the Guiding Eyes for the Blind in Yorktown NY, and currently works at Pet Rescue in Harrison NY and The Humane Society of Westchester (HSW) in New Rochelle NY as a volunteer trainer in their train to adopt program. In 2013, Donna completed an eighteen-month course of study with the Northeast Regional Dog Trainer’s Academy (NRDTA) run by Bobbie Bhambree, Founder & Director of DogCentric Training & Behavior and HSW’s head trainer. At the Humane Society of Westchester, Donna often teaches the What Every Shelter Dog Should Know class as well as the monthly Green Dot, Dog Walking classes for junior, adult and family volunteers. She also provides private training since joining DogCentric Training as an associate in 2015. In an ongoing quest to expand her knowledge of training skills and dog behavior, she is a regular attendee of lectures and workshops. She completed Sue Sternberg’s Instructor Training Course (ITC) at the Rondout Valley Animals for Adoption facility in Accord, NY in the summer of 2015 and is looking forward to attending Suzanne Clothier’s ITC this summer. Donna is a member of the Association of Professional Dog Trainers (APDT) and currently shares her life with Gus, a three-year-old Shepherd/Lab mix, three Oriental Short Hair cats and the latest member of her family, Kiya, a 6-month-old torbie kitten. She hopes to add another dog or two to the mix in the near future. 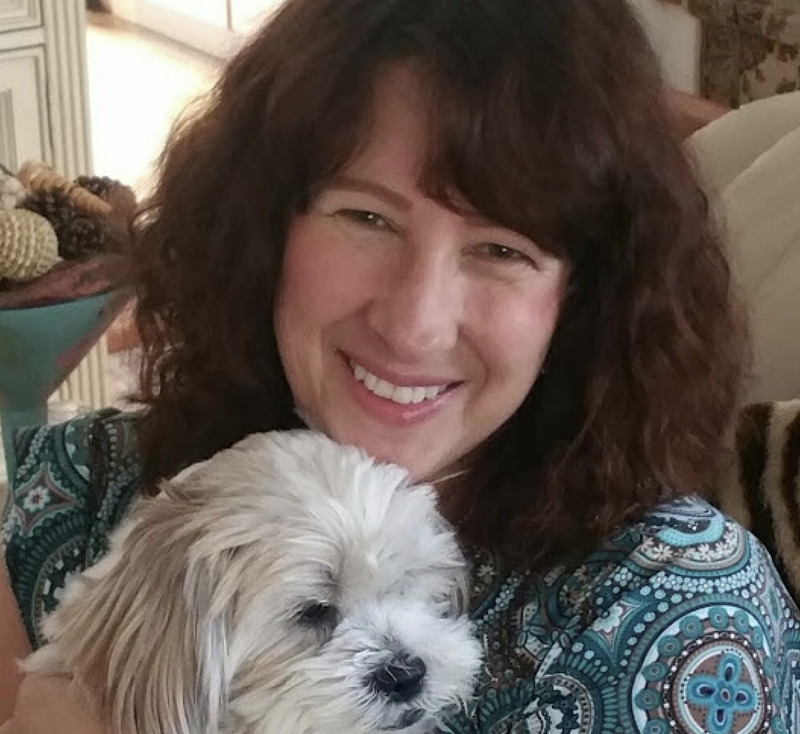 Joy Becker’s interest in dog training was sparked when she began to volunteer at Pets Alive Westchester Shelter in Elmsford NY, where she began working with their head trainer. Joy developed a passion for helping shelter dogs get adopted using a positive reward based training program called Train-To-Adopt. She also assisted the shelter trainer in the shelter’s group training classes, geared toward helping new adopters and their dogs. Joy attended an eighteen month program at the Northeast Regional Training Academy, mentored by the Founder and Director of the Academy as well as Director of DogCentric Training, Bobbie Bhambree. Joy’s training took place at the New Rochelle Humane Society, implementing their Train-To-Adopt Program with a variety of both purebreds and mixed breeds. She continues to stay current in the field by attending seminars of some of the nation's most renowned reward based trainers. She is a member of the Association of Professional Dog Trainers (APDT). Joy continues to devote time to working with the dogs at the Humane Society of Westchester at New Rochelle, in her ongoing commitment to help shelter dogs find loving homes. Joy is also a Registered Nurse specializing in Behavioral Health, currently working with teenagers with emotional and behavioral dysregulation. She is keenly aware that good communication and the understanding that behaviors are a reflection of emotion are essential to achieve the best outcomes for her clients. Her perspective on dog training is much the same. She strongly believes that within the connection between humans and dogs is their ability to form intimate bonds. Joy perceives dogs as perpetual toddlers who rely on a nurturing and stimulating environment to feel confident, safe, and secure in the world. Joy’s goal is to provide the knowledge and understanding of dog’s needs and behaviors, and a reward based training program, to enhance the relationship between owners and their dogs, in order to live together happily and harmoniously.